Cathie Rowand | The Journal Gazette Zahra checks on her daughter Kita who was born on August 6. 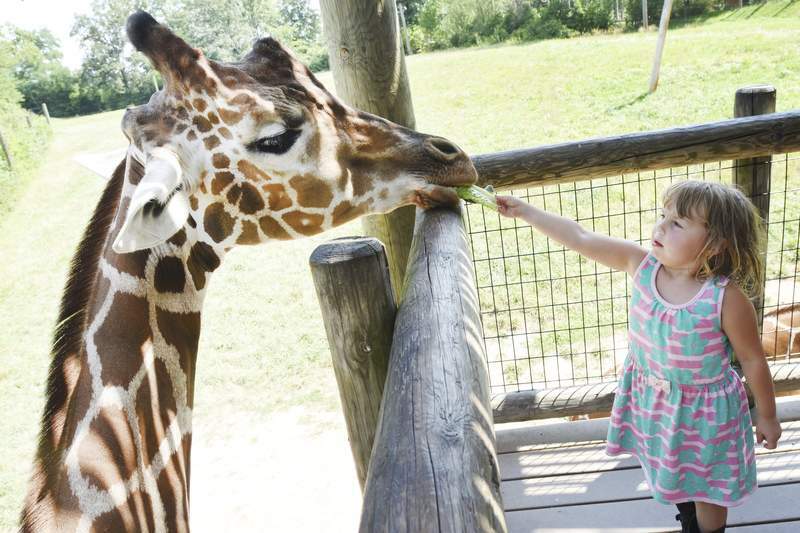 Cathie Rowand | The Journal Gazette Alli Calhoun, 4, feeds Zahra lettuce in August at the Fort Wayne Childrens Zoo. Zahra, one of the Fort Wayne Children's Zoo's prized giraffes, has died. Zahra died July 5, the zoo said Wednesday in an announcement on its Facebook page. The giraffe, nearly 9 years old, had been ill and under veterinary care since June 21. Zahra was born on Oct. 17, 2009, at the zoo to Jelani and Zuri. She gave birth to Kita in August. 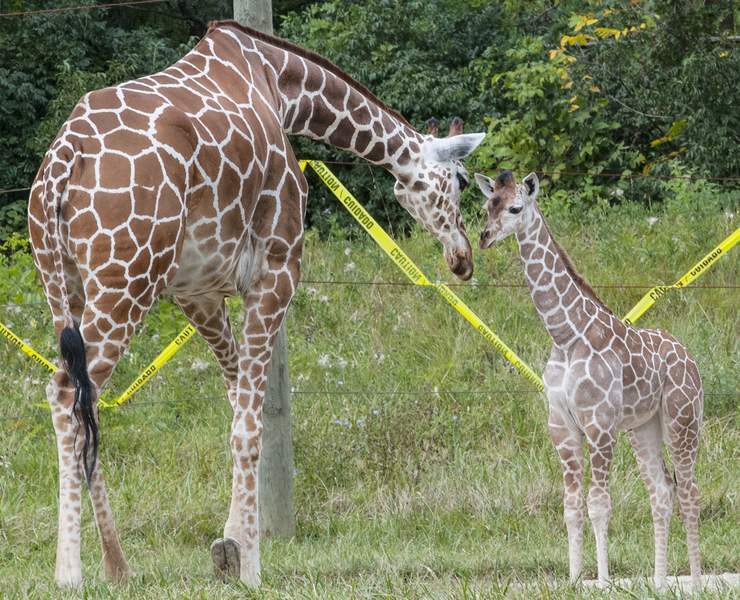 "She was an important member of our herd, and her offspring marked three generations of giraffe here at the Fort Wayne Children’s Zoo," the Facebook statement says. "Zahra was loved by all, and her loss is felt deeply. We share this heartbreak with our animal care professionals, who cared for her every single day of her life. We thank them for their outstanding work, not only with Zahra, but with all the animals here at the Zoo."